The SaberCats have five different jersey options to choose from – “Beast” (navy), “Smoke” (gray), “Swag” (white), “Vegas” (gold), and “Ice” (white). 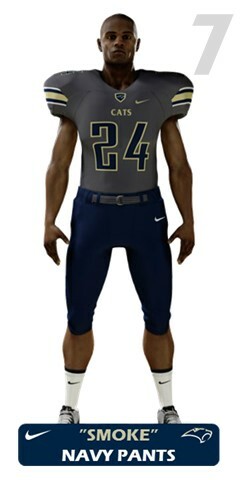 The SaberCats also have 4 different pants to choose from – gray, white, navy, and gold. 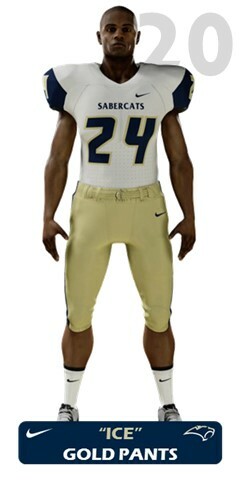 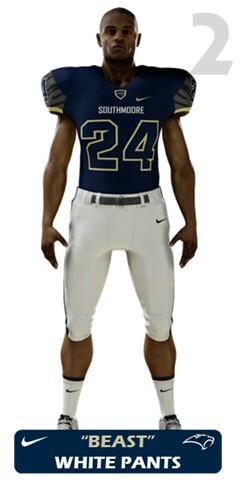 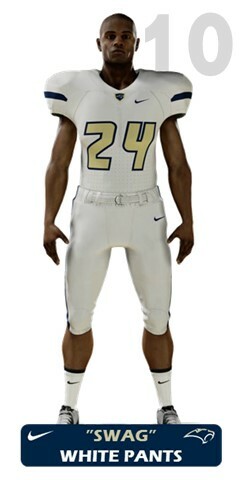 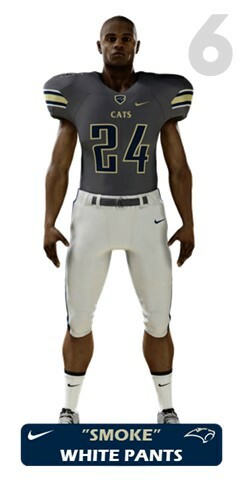 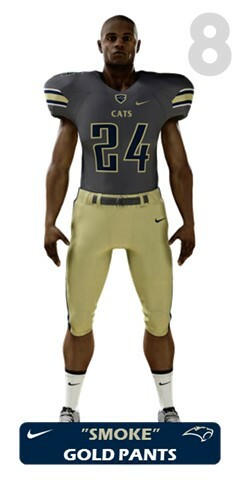 Designed and engineered by Nike, these combinations give the SaberCats 20 different uniforms to choose from.